Congratulations to Young Marines for receiving the President's Volunteer Service Award. Six adults and 61 Young Marines cadets received this award. 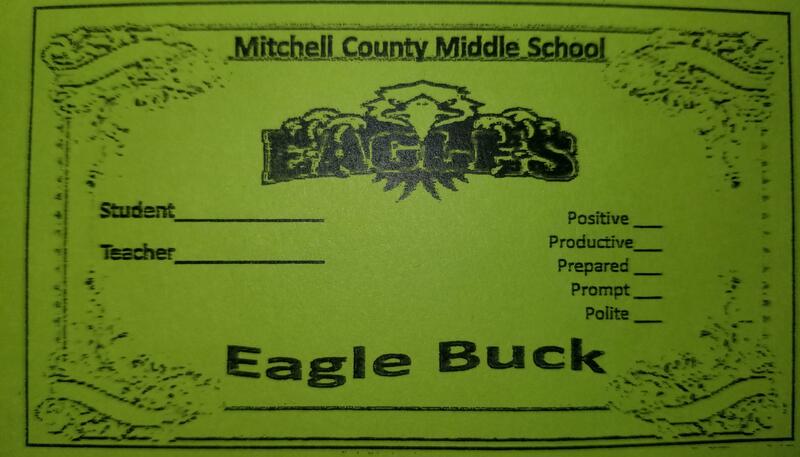 Teachers began passing out Eagle Bucks to recognize positive behavior in the classroom. Students can earn the currency by following school rules, participating in class, and being respectful. They will have the opportunity to spend what they earn during the "Fun Friday" celebration. Celebrations will take place every three weeks and all students who do not receive a behavior referral during the three week period will be eligible to attend. Save up those Eagle Bucks!